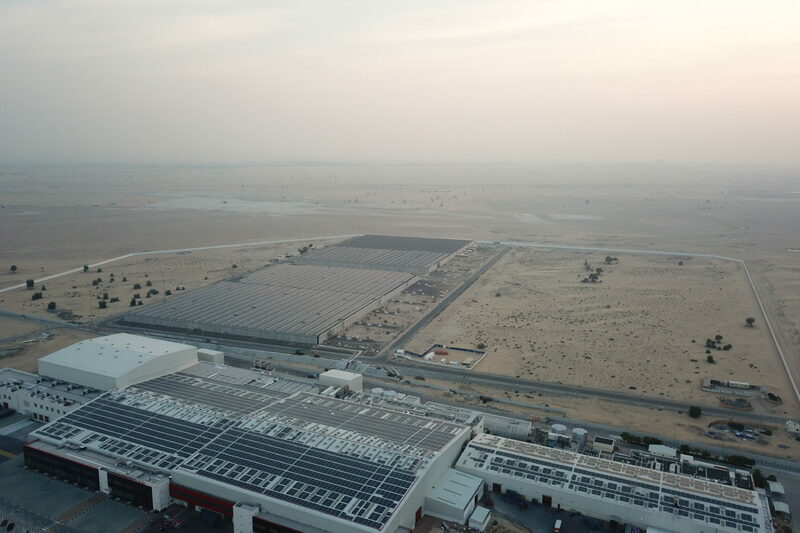 Upon finalisation of the second phase in 2019, this plant will have a total capacity of 18 MWp, making it not only the largest solar rooftop in the Middle East, but also the second largest solar rooftop in the world. The entire installation is being carried out on a total of five rooftops at the Mai Dubai Water Bottling Plant in Dubai. 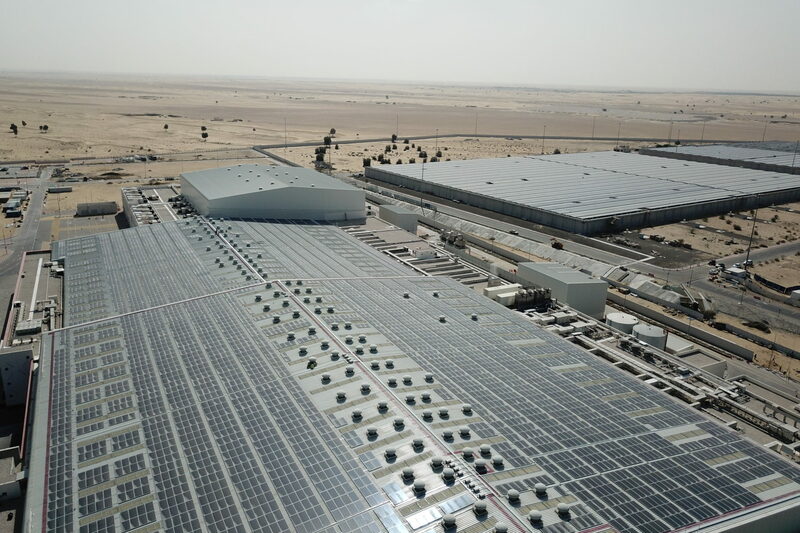 The initial phase saw 30,000 solar modules installed across three rooftops of the factory itself, as well as the adjacent Ghaffath water reservoir. 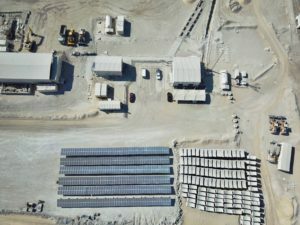 Phase 2 will see a further 20,000 PV modules installed on a second reservoir. 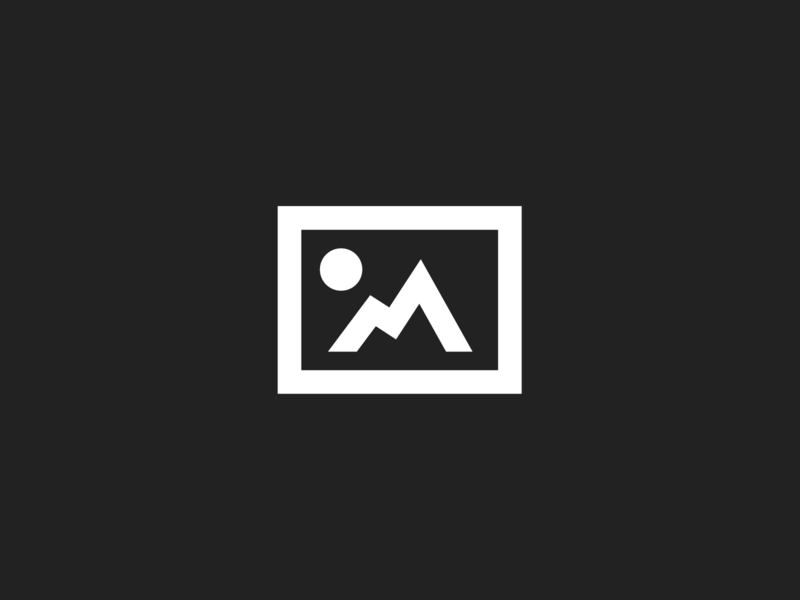 The final site will contain nearly 50,000 solar PV modules on a combined rooftop area of 136,000m2. The design, engineering & installation of the project was carried out in less than 8 months by 100% UAE-based staff, with the steel structure & balance of plant also coming from UAE suppliers. 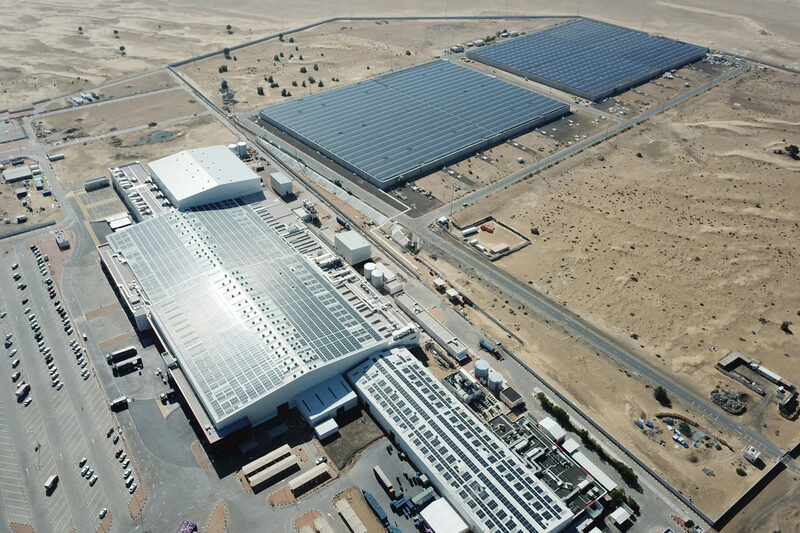 This monumental solar rooftop installation supplies 100% of the bottling plant’s annual electricity demand, significantly reducing the plant’s environmental impact. The project is also connected to the grid, and therefore in line with DEWA’s Shams Dubai Initiative.